At the beginning of March, the North West team travelled to the picturesque town of Cromarty, to inventory the collection at Hugh Miller’s Birthplace Cottage and Museum. Little did they know they would be taken on a journey far back in time. Hugh Miller was a very important figure in Victorian Scotland. Although he had not particularly enjoyed formal schooling, he was an avid reader and later became a great writer. His early vocation was stonemasonry, and you can see the mallet he used in the Museum. This, combined with his love of walking on the fossil-strewn beaches at Cromarty and nearby Eathie, led to him to become an early palaeontologist. Hugh was also a folklorist, social justice campaigner and a strong advocate for the reform of the Church of Scotland. His writing attracted the attention of Robert Candlish, who was instrumental in setting him up as editor of The Witness, an evangelical newspaper that Hugh continued to write for and edit up until his death. Hugh very much saw himself as a common man; whether he was out searching for fossils or attending gatherings in Edinburgh, he would wear his plaid (also displayed in the Museum) to mark him out as such. His love for the people was reciprocated, and upon his death thousands lined the streets of Edinburgh for his funeral. To begin our mission we travelled back to 1802, the year of Hugh Miller’s birth. Fortunately the fabulous Alix Powers-Jones, Property Manager, was on hand to make sure we were properly attired! The birthplace cottage was built in the early 18th century by Hugh Miller’s great-grandfather John Geddes, said by some to have been a pirate who paid for the construction of the house with Spanish silver and gold. The neat little cottage has a thatched roof, a hanging lum that would once have been used to smoke and preserve fish, and a beautiful garden, where a sundial intricately carved and installed by Hugh Miller himself still stands. Although much of the original furniture was sold by Hugh’s family after his death, the cottage has been furnished by the Trust with items faithful to that period. Some objects, such as a sampler stitched by Anne Geddes, are original to the family. 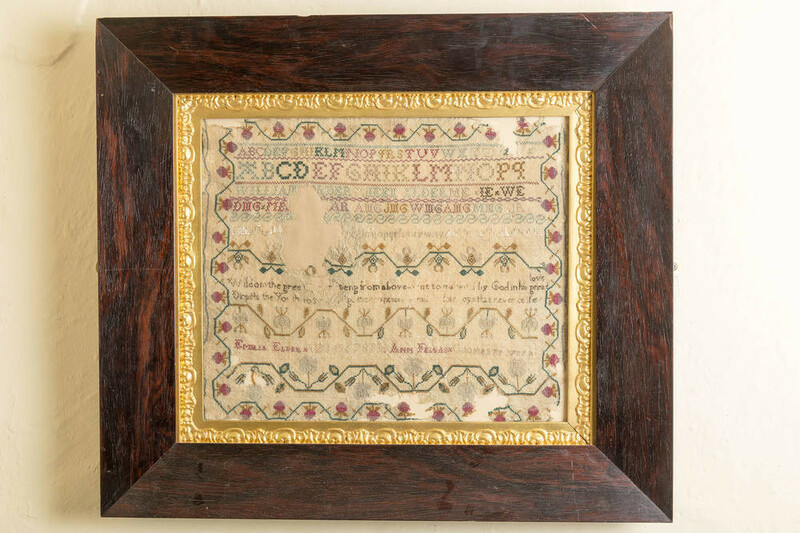 A sampler was produced by Georgian ladies as a demonstration of their skill in needlework. If you look closely you can see the date 1789, when this piece was stitched. Next door to the cottage is Miller House. Built by Hugh’s father in 1797, it is a fine example of a Georgian townhouse and is now home to the Hugh Miller Museum. Here, we were transported even further back in time, millions of years in fact, by the fossil collections on display. Many of these fossils were collected by Hugh along the shores of the Black Isle. An early fossil hunter, Hugh did not have the resources we do now to draw on, but he was a firm believer in making ‘a right use of your eyes’ and he carefully examined all of his finds. He used different techniques to understand the fossils, including comparing them to similar modern species, and he published his findings in several books. One in particular, The Old Red Sandstone, went on to become one of the most popular texts on geology in the 19th century. Although the field of geology has now moved beyond what Hugh and his contemporaries understood to be true, Hugh’s work provided an important foundation from which the then-new science could grow. As well as uncovering several new species, Hugh Miller’s writings helped to inspire people to examine the natural world, and popularised the study of geology. 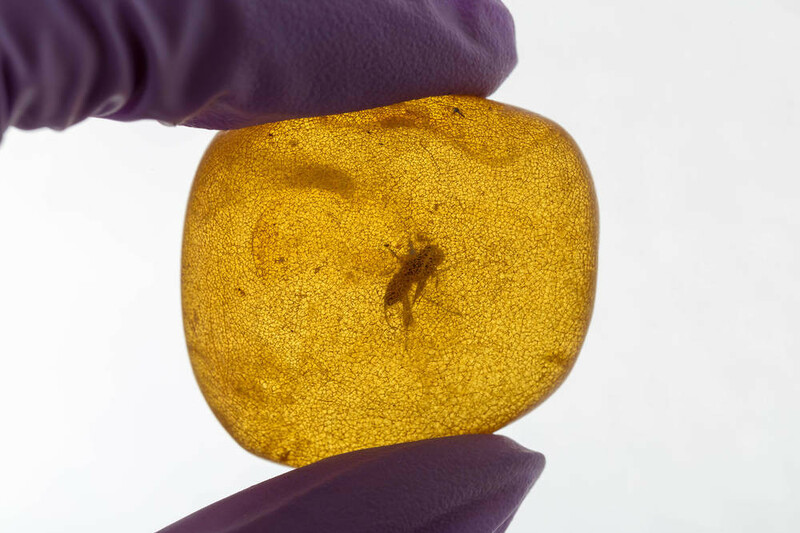 An insect trapped in amber: could it be the start of your own Jurassic adventure? We very much enjoyed our travels through history, learning about this fascinating man and enjoying all the town of Cromarty has to offer. 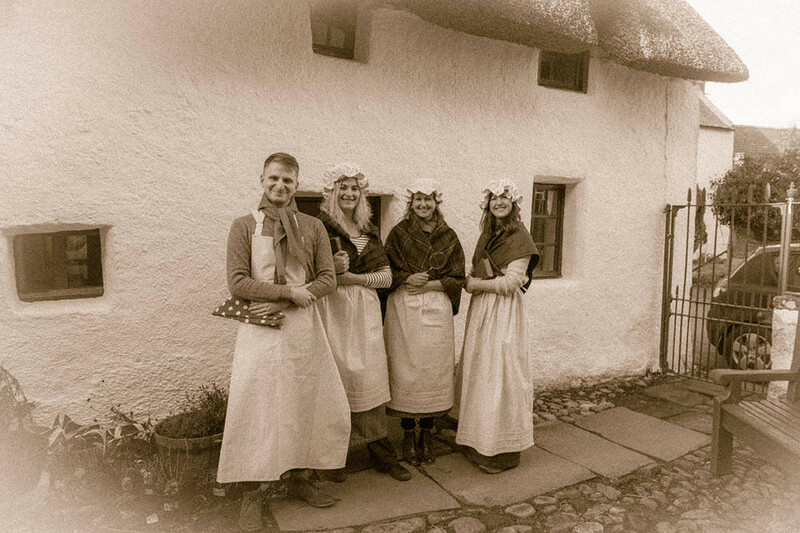 Hugh Miller’s Birthplace Cottage and Museum has just reopened for the new season, so why not head off on a little adventure of your own? 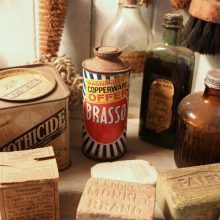 This article is by Robyn Braham, North West Inventory Photographer. Project Reveal is a multi-site digitization project of unprecedented scale. It will result in an updated database with high quality images and unique object numbers for every item in the Trust material culture collections. With your support, we can help the Trust manage its collections more effectively. Most important, we can help the Trust discover, better understand, and share its treasures with the world. This article was originally published by the National Trust for Scotland on March 21, 2018.